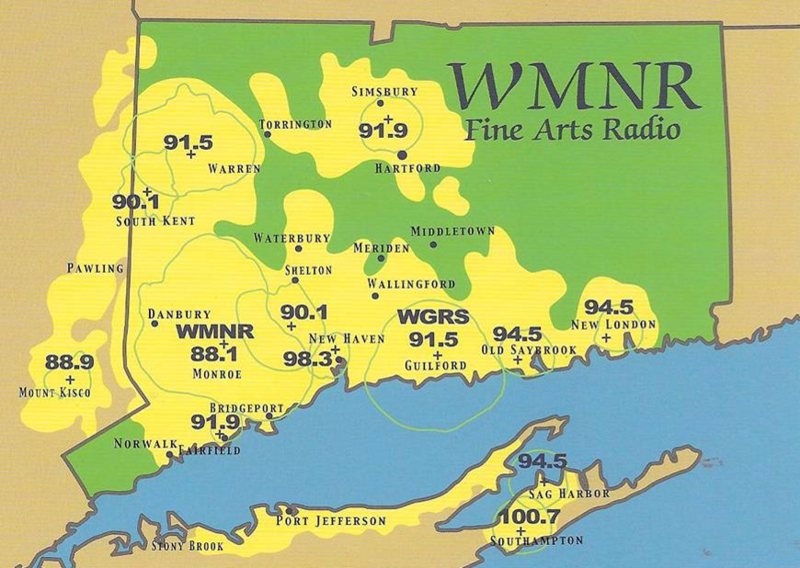 WMNR Fine Arts Radio is a public radio station that has been broadcasting classical and fine arts music programs from Fairfield County, Connecticut for over 30 years. With underwriting on WMNR, your announcements can reach a select group of listeners throughout Connecticut and parts of New York, providing information about your business in an uncluttered music environment. WMNR's listeners are an educated group of individuals. … 40% are between 35 and 64 years old … with a median age of 62. … WMNR's audience is 52% male and 48% female. And 70% of all public radio listeners have mentioned that a company's support of public radio has a positive influence on their decision to use that company's products and services. With your company’s underwriting support on WMNR, you may choose to receive on-air acknowledgments of your company's underwriting support during a specific program or time range or you may choose to have a portion of your acknowledgements rotated throughout the week, allowing your acknowledgement to be heard by a number of different audiences. Underwriting is available on a per-mention basis. WMNR is pleased to customize your underwriting to your company's needs and budget. For more information on WMNR underwriting opportunities, please email Bob Anderson at underwriting@wmnr.org or call 203-268-9667 ext 120.